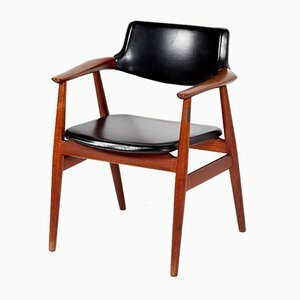 There is currently no verifiable biographical information available on the Danish designer Erik Kirkegaard. 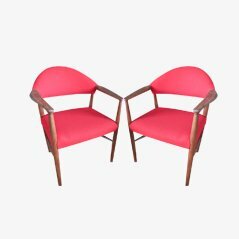 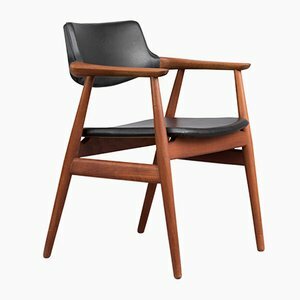 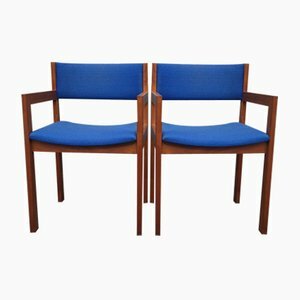 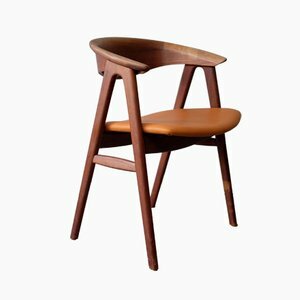 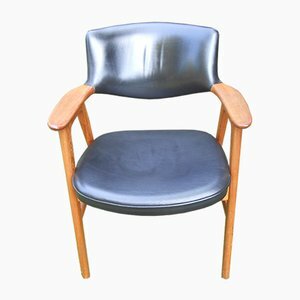 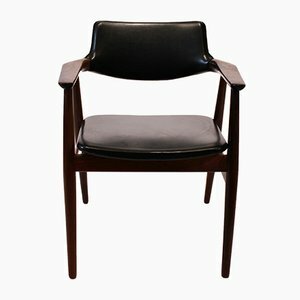 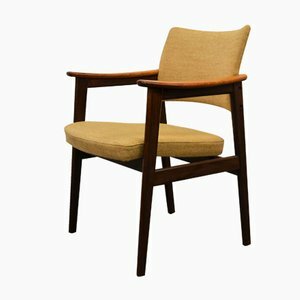 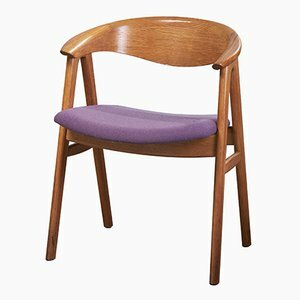 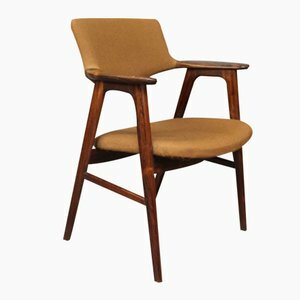 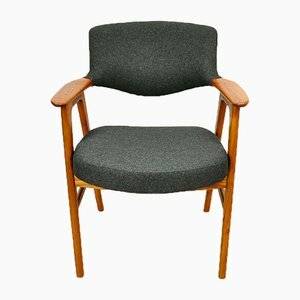 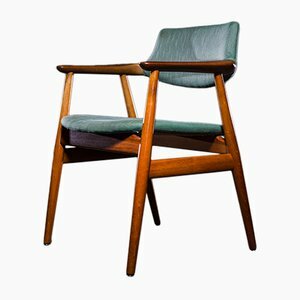 Designing in the Scandinavian modern style that took the design world by storm in the 1950s and ‘60s, Kirkegaard’s designs were produced by the chair manufacturer Høng Stolefabrik, located on the Danish island of Zealand. 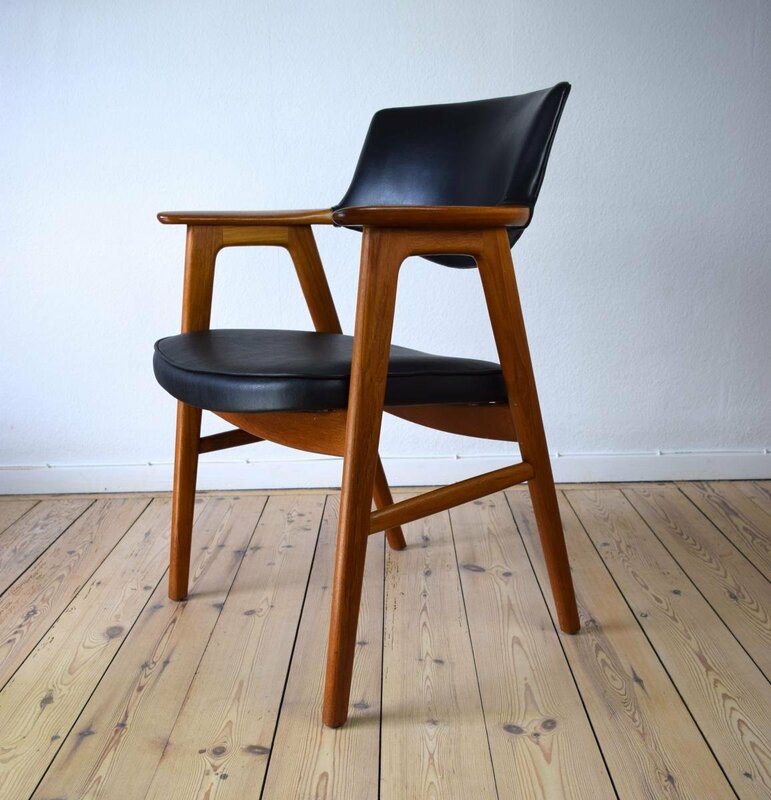 The vast majority of vintage Kirkegaard pieces on the market are Høng productions. 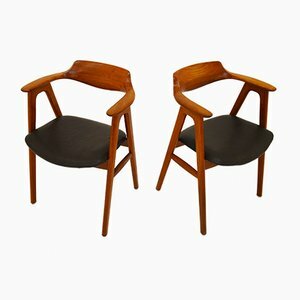 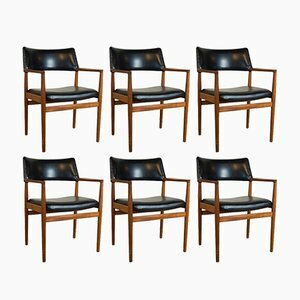 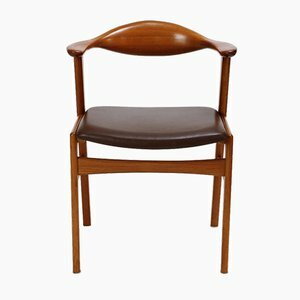 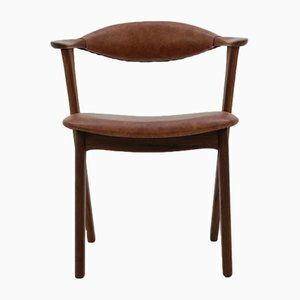 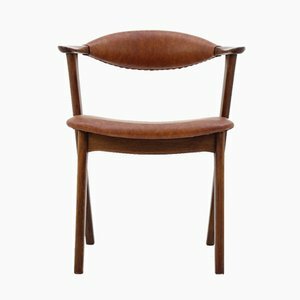 His dining chairs are constructed from dark-stained teak, typically with black leather seats, with a minimalist aesthetic. 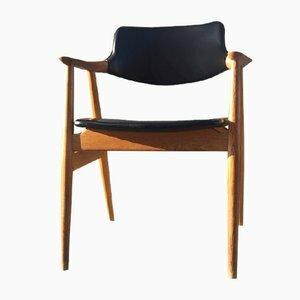 Kirkegaard’s No. 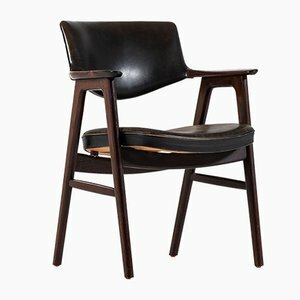 49 Chair (1956) features a single sculpted back rail and curved armrest that will remind Hans Wegner fans the world over of the infamous Round Chair (1949). 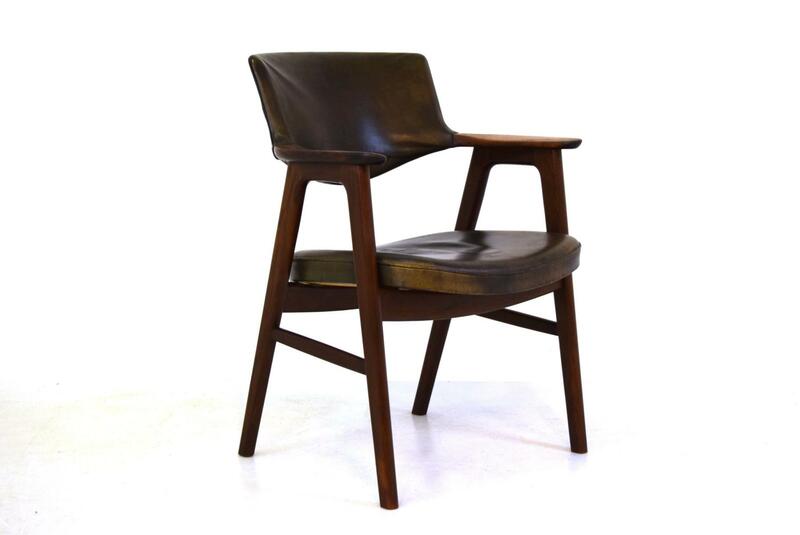 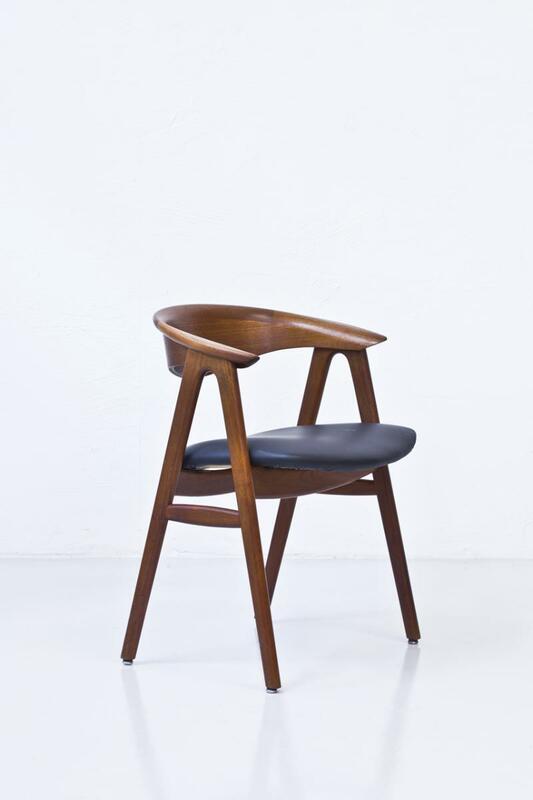 Other distinctive features of Erik Kirkegaard’s designs include sculpted cow horn armrests, and angular A-frame legs. 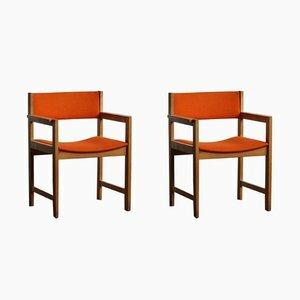 Although Kirkegaard also designed for Glostrup Møbelfabrik (though less prolifically), a manufacturer that produced a variety of tables, chairs and storage by designers such as Grete Jalk and Arne Vodder, it is unknown if Kirkegaard ventured beyond seating design. 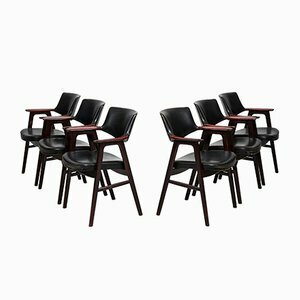 It is reasonable to assume he did not, given what is available on the market.